One of the best grand tourers currently available has joined one of the best racing games currently available. Video games are an excellent form of escapism. For gearheads, racing games allow you to drive exotic cars you'll probably never be able to afford from the comfort of your own home. One of the best recently released racing games is of course Foza Horizon 3, thanks to its jaw-dropping graphics, vibrant open world and vast car selection. With over 350 cars, it has one of the most diverse car selections in any game ever. And it’s just got even better, with the addition of the exquisite Aston Martin DB11. 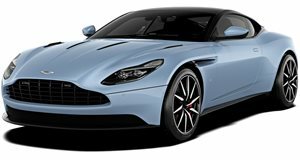 Released as part of the Playseat Car Pack available to purchase separately or as part of the Forza Horizon 3 Car Pass, the DB11 joins six other cars, including Pete Brock’s 1985 HDT VK Commodore Group A to complement the Australian setting, along with the 2016 Cadillac ATS-V, 1990 Renault Alpine GTA Le Mans, 2016 Opel Corsa VXR, 1970 Honda S800 and 2016 Honda Civic Type R. A very eclectic selection, it has to be said. The Aston Martin DB11 needs no introduction, really, with its beautiful styling, a 5.2-liter, twin-turbo V12 engine churning out 600-hp, and innovative aerodynamics. The Forza series has a reputation when it comes to adding cars relevant to today's auto industry - the last Car Pack marked the video game debut of the BMW i8 hybrid. As one of the finest luxury grand tourers currently available, we can’t think of a better car to explore Forza Horizon 3’s virtual open world of Australia. Which car are you looking forward to driving the most?